A website promotes your business 24x7, Even you are sleeping and this can’t be justified your business in this competitive business environment, where thousands of your competitors are also looking to be most effective with their own business websites. 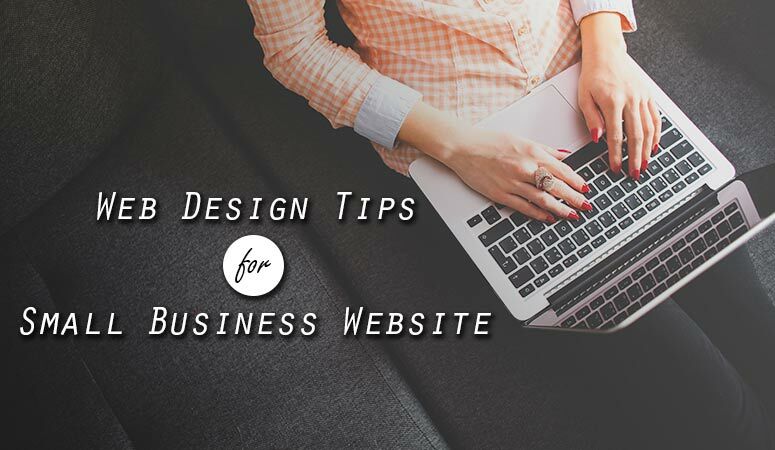 Entrepreneurs - Web Consultants or Web Development companies – whoever is looking to Design and Develop either their own small business websites or for their clients, have to consider few things as mentioned below to have an effective website which may generate business for them. Your header should include several things like. Logo: Use crispy sharp logo with a perfect tagline to match your business. Make sure, it should navigate to the home page. Contact Info: You can place contact information like email id, contact number, Skype Id etc right at the top section. Place a call to action button to encourage the visitors connecting you directly (Not necessary if it disturb your design Layout). Top Navigation: Place clean navigation menu to let user reach the end page with maximum of two to three clicks. Avoid making it too messy with all links; instead keep a parent child structure. Also, use a proper hamburger menu for mobile devices to improve UI/UX. DANNY HALAREWICH in his blog on LemonStand explained very well about the Navigation. Breadcrumbs: Use breadcrumbs for website with more than two levels. It allows retracing the user from home page to the page where the user currently is. It represents the structure of website. The slider is common in home page nowadays. It allows the website to highlight the core Services/Product of your business. Always use an attractive call to action buttons and taglines in the slider section to improve your conversion ratio. This is the main section area of a website, where you can introduce your business, product or services in detail. The content should be SEO-Friendly. HomePage: For any homepage, this area contains things like crucial business detail, reviews, testimonial, sample work and all other stuff including links to the inner pages. It is highly advisable that the content kept in this section must be creative & user-friendly first and then it should be SEO friendly too with the use of optimum keywords. Depending on your business, it might be simple design (can use the latest trend of Minimalism concept) or it may be colorful artistic. Inner Page: For any small business website, usually the inner pages are “About us” page, Product/Services page, work sample page. It is obvious for content to be SEO-friendly. Use sharp quality images for your products/services & Call to Action Buttons at appropriate places. Blog/NewsPages: Blogging is the most important aspect for any small business as it creates a linking between you and your potential customers. It also helps you to establish your brand and improves SEO too, which we will discuss in next articles of this series. Hence, it must be necessary that your layout should not miss a single loophole in its design. Never miss sections like a category list, search bar, comment section, social sharing buttons and subscription form. Contact Pages: To contact you, your potential customers will directly visit to this page. Hence, this page must include every possible option that leads visitors directly to you. It must contain your physical address, contact number, email ids, social links, your professional contact ids for a platform like SKYPE and else. Along with these, include the map with your business location so that your clients can reach you easily. Contact Information: For any small business website, contact information is extremely important to be in footer of any website. Place information like physical address, phone number, email address etc. Business Hours: Place your business hours listing accurately in footer section to let your visitors informed for the best time to connect you. Social Accounts links: Place all your social accounts links button in footer section so that user can explore them too. Subscription Box: Include a subscription box in footer section. It helps you to gather emails ids of those visitors who are interested in your product/services. Secondary Navigation Menu: You can also use secondary menu option in footer to encourage user to explore more in your website. Along with these features, don’t forget to place ‘sitemap’ & ‘read policy’ url’s at the bottom of the footer section. Mobile devices had already overtaken the desktop usage and hence it is very essential for your website to be responsive according to the device & its screen size. If your website is not mobile friendly then in no time your visitors will divert to your competitors. Always check your website on multiple browsers to avoid losing your valuable traffic. Use cross browser test tools for performing this action. You can get list of such tools from Google. Choose according to your preference. Font & Color Selection: Fonts & colors plays important role in look & feel of your website. Always stick to some set of colors that match with your business style. Use fonts that are easily readable and soothe to your eyes. Accessibility is critical if one is looking for website's success. According to WHO, there are approximately 253 million people in the world living with Vision vision impairment. Also, there are people with different disability too in the world. Hence, ignoring accessibility is like ignoring a large number of potential customers. WCAG is the best place to start though its bit lengthy. However, you can refer this impressive WCAG 2.0 checklists to check your website accessibility progress. Always use professional quality images for your website that perfectly synchronize with your business. It is observed that a professional sharp image helps you to improve your conversation ratio. However, never forget to use image compression tools to optimize the size of images in order to speed up your website performance. Google Chrome had eventually started blocking flash content and even Adobe announces to stop support for flash. Search Engine are incapable of recognizing Flash, hence it is advisable to use html5 video instead of Flash in your website. Background music creates unprofessional impression towards your website unless you are selling music or music services. Moreover, it consumes bandwidth of your server slowing down your website. Hence, it is strictly advisable, not to use background music for your website. That’s all for this article. We will publish SEO Things to keep in mind for your Small Business Website in next parts of this article.We have tried to cover all major point. If you feel something is still missing in this article, please share it in comment section below and we will update it in this article. Also, feel free to ask any questions regarding web design & development. Our web experts are always passionate to consult & solve your queries. And, guess what! it’s all for free! Very helpful article and up to the point. I liked your idea of using breadcrumb navigation in the website so that it becomes easy for the user to navigate also one point to keep in mind while developing the website is that the content and images should not overlap and also the colors for the website should be chosen wisely.